Defend yourself with salad tongs, hairbrushes–and even a dirty diaper! A sidewalk thief tries to steal your wallet, but you are unarmed. What do you do? 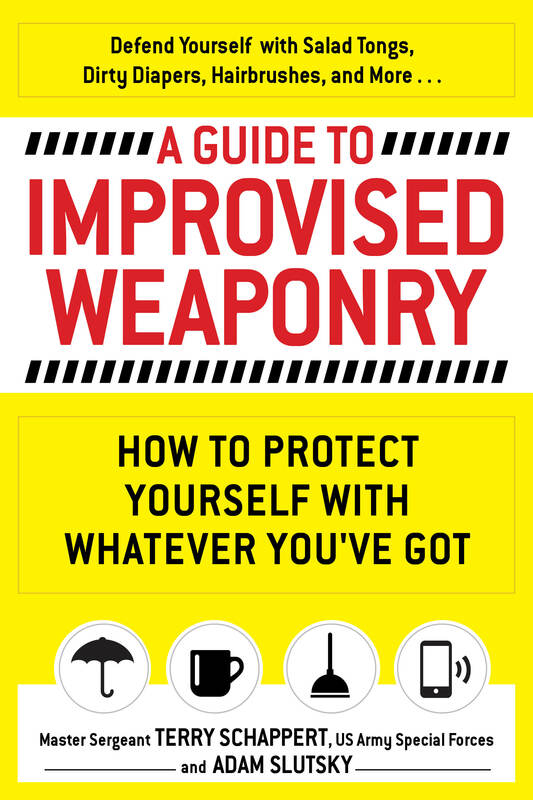 With A Guide to Improvised Weaponry, you’ll know how to protect yourself–even if all you have are your car keys and a candy bar. Written by Green Beret and combat expert Terry Schappert, this book teaches you how to turn your lipstick, your wristwatch–even the shoes on your feet–into strategic self-defense tools. Traditional weapons can be expensive, dangerous, and in the blur of an attack, easily turned against you, but with his life-saving advice, you can avoid these risks and defend yourself by deploying the hidden tactical uses of 100 ordinary items. 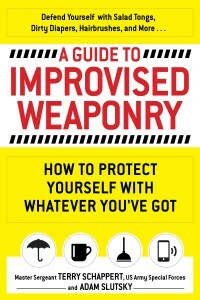 Whether you’re out grocery shopping, riding in an elevator, or enjoying a stroll through the park, A Guide to Improvised Weaponry shows you how to control your environment and become your own bodyguard–ready and able to act when you need to.